In its efforts to weed out corruption among the agents and officials charged with securing the nation's borders, federal officials sometimes set off on enigmatic quests. The federal government has made no secret of its desire to crack down on corruption among the ranks of agents and supervisors charged with securing the nation's borders, and since 2004 it's made good on those intentions dozens of times. But of 177 cases that U.S. Customs and Border Protection cited in response to a Tribune request for recent corruption prosecutions, 19 — about one in nine — ended with either a jury acquittal or charges being dismissed. That conviction rate — about 89 percent — is around the national average for federal prosecutions. The most recent statistics released by the Department of Justice showed that a little more than nine in 10 cases that prosecutors pursued resulted in convictions. But, sometimes the fruitless cases shed light on enigmatic pursuits. Two cases in point among those CBP provided the Tribune show the government going to great lengths with little apparent cause. Operation Dirty Blue, planned by the Federal Bureau of Investigation and the U.S. Attorney's Office for the District of Arizona, was designed to root out alleged corruption at the Lukeville, Arizona, Port of Entry, where hundreds of thousands of people cross from Sonoyta, Mexico, into the United States. In October 2010, an undercover agent went to the port to masquerade as a supervisor and firearms instructor. Unfortunately, he didn't initially find much illegal activity, according to court records. So federal investigators changed their tactics. They began working on winning the trust of Lauro Tobias, a 10-year Arizona border customs agent and Air Force veteran. “I think my guy was sort of an attractive nuisance,” said Steven West, Tobias's criminal defense attorney who is handling a lawsuit Tobias has filed against the federal government. “He’s already got military retirement ... and he buys himself a bright yellow Corvette that he’s driving around. So what does that look like? Some guy that’s got extra money.” Tobias declined to comment for this story. In order to win Tobias's trust, federal agents lavished gifts on him — out-of-state trips, tickets to boxing matches, even trips to strip clubs, court records show. Before long, Tobias's friendship opened a new door of employment, records show. Off the CBP job, he began providing security for what he believed to legitimate business deals conducted by his friends, the undercover federal agents. There were some red flags. Tobias observed cocaine in his friend's suite during one August 2012 deal in Las Vegas. But West maintains that the officials assured Tobias everything was above board. A day after the meeting at which cocaine was present, Tobias transported $100,000 from Las Vegas to Phoenix for his friends, per court records. Later that year, he transported another $100,000. Each time, Tobias was paid $3,000 for his efforts, authorities later alleged. On March 14, 2013, six months after completing his last trip for Gonzales, Tobias got a visit from James Lacey, an assistant U.S. attorney in Arizona. According to court records, Lacey told Tobias he could “help himself” by providing information about corrupt officers. Tobias did not. The next day, the U.S. government filed a criminal complaint accusing Tobias of laundering the proceeds of a drug deal. A month later, Tobias was formally indicted on charges of money laundering. When the dust had settled and the superseding indictments filed, Tobias found himself charged with one count of misuse of a government computer, two counts of money laundering and two counts of bribery of a public official. Before the case could get out of the evidence discovery stage, West filed a motion to dismiss the charges based on the government’s conduct. West said he wanted to depose the federal agents who befriended his client and gave him the money to transport. Just two hours after West’s request, prosecutors filed to dismiss the charges against Tobias. The office of the U.S. Attorney for the District of Arizona, John Leonardo, declined to comment. Lacey, who also helped plan Dirty Blue according to court records, no longer works at the U.S. Attorney’s Office. He also declined to comment, citing pending litigation. In June 2016, West filed a civil suit against the government seeking $5 million in damages for Tobias. In the complaint, West maintains that, as a result of the government’s actions, Tobias lost everything. He was fired from CBP, he saw his reputation soiled and his wife left him. West named several government agencies, including the FBI, the Department of Homeland Security Office of Inspector General, the Department of Justice and CBP, as defendants in the original civil complaint. CBP and DHS-OIG both declined to comment. CBP noted that the investigation into Tobias was conducted by another agency. The FBI also declined to comment. At the time of her arrest, Lorraine Henderson was a rising star in the federal government. She joined the U.S. Customs Service out of high school at 17, and when it was merged into Customs and Border Protection in 2003, she was regarded highly enough to be chosen to run CBP’s Boston-area ports. In early 2004, Henderson moved to Salem, a town near Boston famous for its witch hunts, to start her new job, property records show. After a few months, she enlisted the help of a local cleaning woman, Fabiana Bitencourt, to help keep her apartment tidy. When Henderson referred Bitencourt to a colleague, Nora Ehrlich, neither of them knew the maid was an undocumented immigrant, court records show. They both employed Bitencourt for more than a year, until December 2005, when higher-ups sent an agency wide email stressing the importance of CBP officials not associating with undocumented workers. After the email warning, Ehrlich questioned Bitencourt about her immigration status, records show. When Bitencourt confessed that she was residing in the country illegally, Ehrlich fired her. She advised Henderson to do the same. 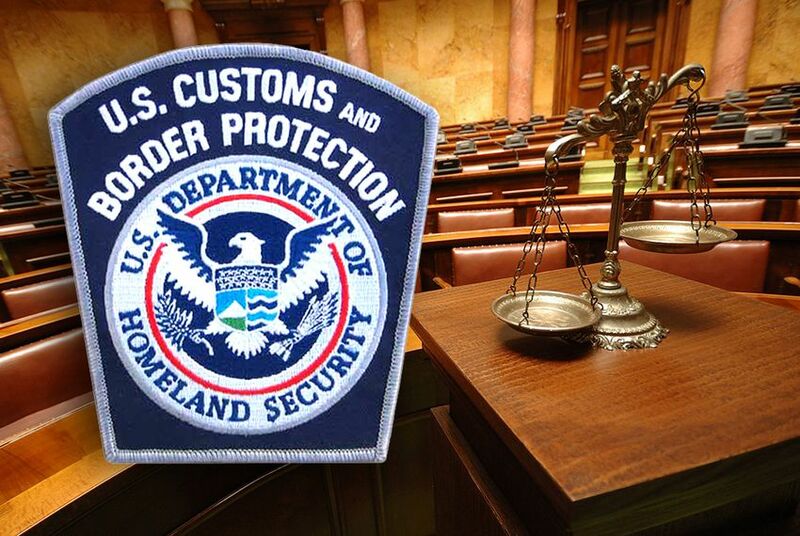 Henderson, whose background in customs left her with a "woeful, woeful lack of knowledge about immigration," according to her defense attorney, Francis J. DiMento, continued to employ Bitencourt for two more years. When Ehrlich learned Henderson hadn't fired the maid in 2008, she reported it to their superior, Donald Farquharson, records show. Farquharson referred the case to Homeland Security’s Office of the Inspector General. The inspector general's office launched a full criminal investigation. Immigration and Customs Enforcement agents found Bitencourt and convinced her to secretly record a conversation between with Henderson, according to court documents. “Don’t leave [the country] ... cause once you leave you will never be back,” Henderson told Bitencourt in the conversation captured on tape. Henderson was arrested in December 2008 and charged with encouraging/inducing an illegal alien, a felony punishable by up to five years in federal prison. Her trial was disjointed from the beginning. The 2009 inauguration of President Barack Obama meant the case fell into a newly reshuffled U.S. Attorney’s Office. Diane Freniere, the federal prosecutor assigned to conduct the trial was handed the case just nine months before proceedings began. Normally, prosecutors handle cases from "birth to death," she said. There were signs of trouble for the prosecution from the trial’s outset. Freniere said she could tell Massachusetts U.S. District Judge Douglas Woodlock was not pleased with the government’s pursuit of Henderson. “The judge kept saying, ‘A cleaning woman! This is all about a cleaning woman!’” DiMento recalled. But after a contentious six-day trial in March of 2010, the prosecution's decision to move forward seemed to be vindicated. The evidence against Henderson was fairly clear-cut, and after four hours of deliberation the jury found Henderson guilty of the felony count. Even if Woodlock’s face didn’t betray his opinion of the case, his actions post-conviction certainly did. With the guilty verdict in hand, he refused to sentence Henderson, ignoring two motions for sentencing from the prosecution. Freniere said she believes that Woodlock was waiting for a circuit court ruling he could use to justify granting Henderson a new trial. In 2012, Woodlock got such a ruling from the third circuit in Delrio Mocci v. Connolly Properties, Inc., which established a more narrow definition for “inducing” and “encouraging.” Woodlock ordered a new trial based on the fact that he had given the jury an inadequate legal definition of the words. After Woodlock’s ruling, government prosecutors filed a motion to dismiss the indictment, citing the “substantial resources” that would be required for relitigation, records show. In the aftermath of the case, the federal government faced scrutiny for its decision to prosecute a senior official for employing an undocumented cleaning lady. One juror from Henderson’s trial submitted a letter to the court expressing her “tears, anger, and sleepless nights” in the days following Henderson’s conviction. Henderson said she could not comment on the case, citing a “gag clause” in a settlement she reached with CBP. DiMento said he did not believe the prosecution to be politically motivated. The U.S. Attorney’s Office for the District of Massachusetts did not respond to multiple requests for comment. Freniere, who now works in the private sector, said although she would litigate the case again if given the chance, she believes a case like Henderson’s probably wouldn’t be pursued today. Henderson, who was forced to work at a local pet store during her four-year-long ordeal, retired after reaching a private settlement with CBP. By the time her legal battle was over, she had amassed more than 37 years as a CBP employee. To some, cases like those against Henderson and Tobias illustrate the government's occasional misguided zeal in pursuing corruption cases. Outside agencies are often charged with investigating corruption allegations against CBP officials, though as Henderson's case shows sometimes even outside investigations have CBP origins. This year, the Homeland Security Advisory Council wrote in a report that CBP should ramp up its anti-corruption efforts by increasing the ranks of CBP’s internal affairs offices. James Phelps, a professor at Angelo State University who studies border security, said he does not place the blame on CBP for its inadequate number of internal investigators. Derek Bambauer, a law professor at the University of Arizona who has litigated cases against the CBP, said it's unclear whether the CBP is internally pursuing corruption appropriately. "[CBP is] such a non-transparent agency, that it’s very hard to say anything with real confidence about how it’s working," he said. The Texas Tribune and Reveal recently compiled a database of 140 CBP employees who were arrested, charged, or convicted of corruption. Shawn Moran, Vice President of the National Border Patrol Council, said CBP needs to give its employees more leeway. “If we were as serious about immigration control and border security in this country as we were on going after BP agents and CBP officers, we probably wouldn’t have much of a border security issue,” he said.